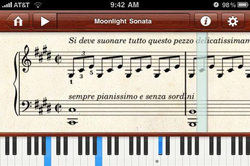 The app includes some classics such as Green Sleeves and Moonlight Sonata, but you can also download additional titles through an in-app store. Currently most of the songs available are public domain, but Grover and his partners hope to finish negotiations with sheet-music publishers to offer more contemporary music such as pop songs and film soundtracks. Link. A seven-inch tablet computer/e-reader made by Brainchild, the Kineo allows schools to control the information students access. 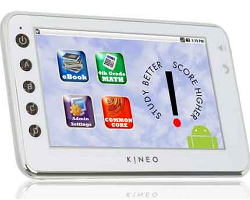 Made specifically for the education market, the Kineo is currently only available in 10 states, because its maker actually offers content specific to the education standards in each state. 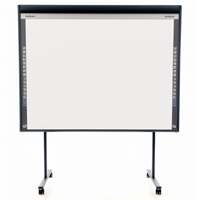 Using a simple Web interface, school officials can control the books and lessons that appear on each student's Kineo. 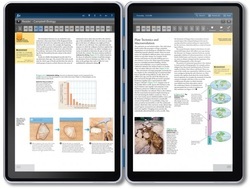 This removes the fears caused by other e-readers/tablets, which can access the Internet. In addition, the Kineo device has no camera or messaging capabilities, so schools don't need to worry about these features posing a danger. Not everyone has Microsoft Publisher, but you dont need it with My Brochure Maker. This online template-driven tool is a snap to use. Choose one of 10 templates in the first window. Edit the text and images in the second window. Print your brochure in the final step. (Tip: Print your brochure to a PDF with Cute PDF Writer so you have the file indefinitely.) This is a great way for students to create polished brochures to showcase their learning. Wikis are a great instructional tool, but all too often students need a legitimate email account to create one. Jottit wikis are a great solution to that dilemma. This wiki generator doesnt have all the bells and whistles of other wikis, but if your instructional focus is content, the site is perfect for student-created wikis. When you go to Jottit, enter your information in the opening box and click the Create a Site button. A wiki will be created with its own unique URL. You'll then want to name your wiki and password-protect it. To do that, enter a password and click Claim. The next screen will ask for an email address; instruct students to enter a bogus address (Remind them to not lose the password!) and click Claim again. Click Settings to give the site a name that will be reflected in the URL. Enter a heading and subheading for the site and click Give your site an address. As long as the name is unique (and without spaces), you now have a wiki! Check out the design link to change color schemes and font. To add additional pages, click Create New Page. The navigation is automatic. Glogster is a nifty web 2.0 tool that allows you to add a little ‘glam’ to electronic posters that then can be embedded into your web page, blog, or wiki. Pick a background, drop on some shapes, add links, text, and pictures, and grab the embedding code. You don’t need to create an account to use the tool. You will want to monitor this with students as the site contains others' unfiltered glogs, but don’t shy away from adding your own glitz to your pages with Glogster.